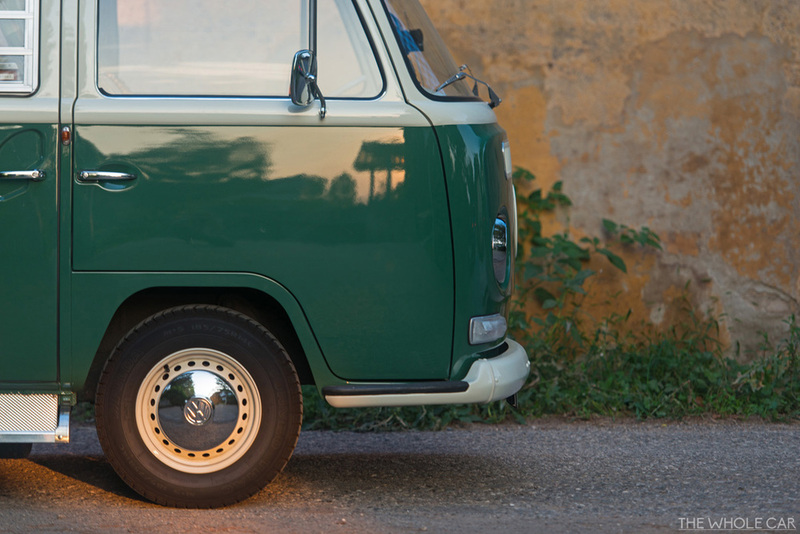 What is it about the VW bus that has captured the hearts of millions of owners since debuting in 1950? Coming from the same minds that dreamed up the iconic Beetle, it was always set to be a game changer. At first, the T1 or "Split Window" bus was nothing more than a big boxy body sat on top of the Beetle's chassis - heck, they even used the Beetle's horizontally-opposed flat-four engine in the rear again. One could argue that they were being a bit lazy there, but when you've had a huge success with a design as VW did with the Beetle, I suppose it's only natural to want to stick with a winning formula. Clearly it worked, transferring some of the Beetle's quirky character and unconventionality into the new bus, and people just loved it. The T1 design was such a hit, that it survived a 17-year run before a redesign was called for. When they launched the version that I photographed for us down in Italy last year. 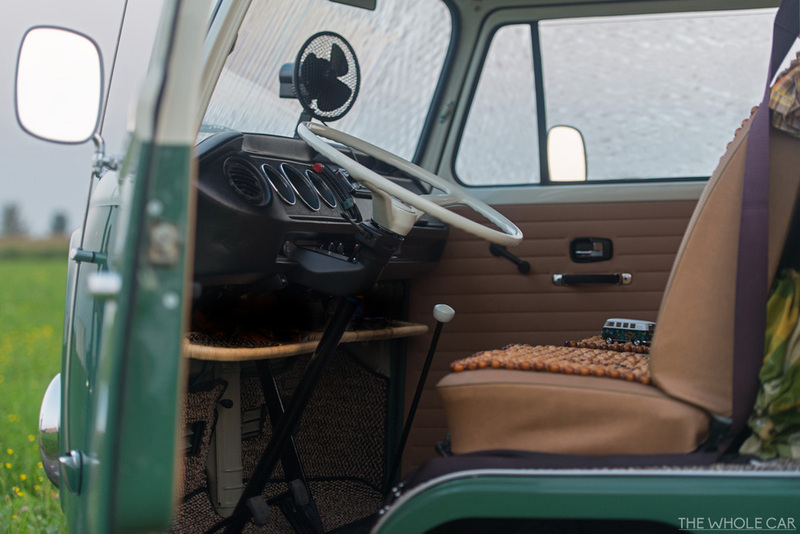 VW called it the T2, but the rest of the world decided to run with calling the revised bus the "Bay Window" as the large single windscreen was the most obvious change from the original. In my view, it lost a little charm in the redesign (and prices of surviving examples of the T1 would indicate that I'm not alone) but most would agree that the bay window version did receive some useful upgrades during its run. These included disc brakes and a much-improved rear suspension which incorporated a stabilising "back-bar", as well as conveniences like wind-down windows. 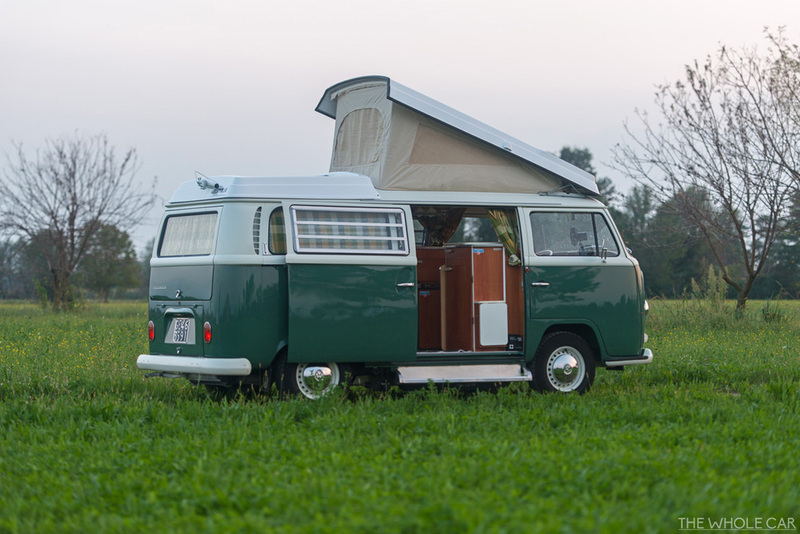 Camper conversions really took the VW to another level, elevating it from a quirky and charming car, to a vehicle that was simply an experience to travel inside. 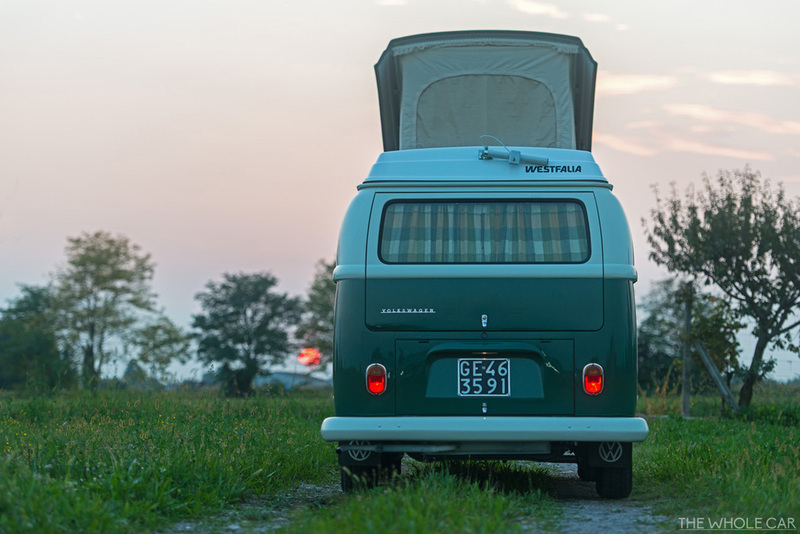 Now you had multiple sleeping arrangements (with various types of roof - from pop tops to front, side, or rear hinging), storage for all your gear, with cooking and refrigeration facilities onboard. 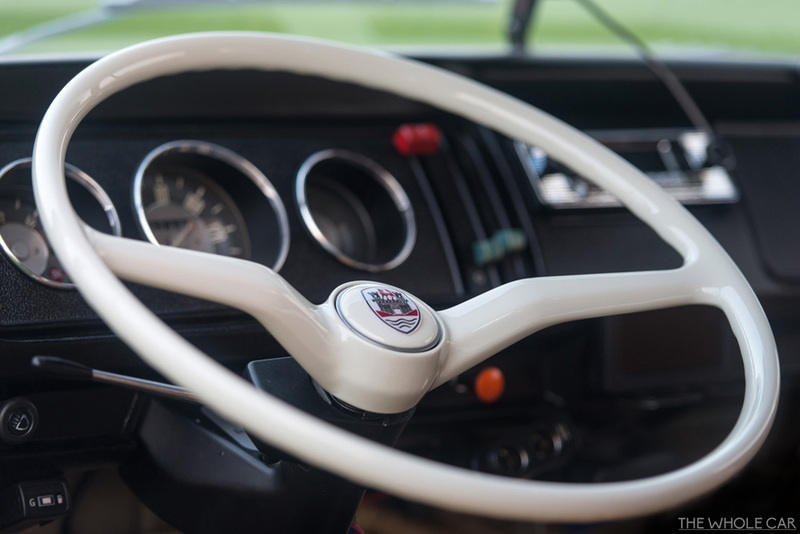 Crucially, the T2 variants were larger than the original, and this meant that they were coveted by various firms such as Danbury and Westfalia who then had the interior space to really go to work on their fittings. 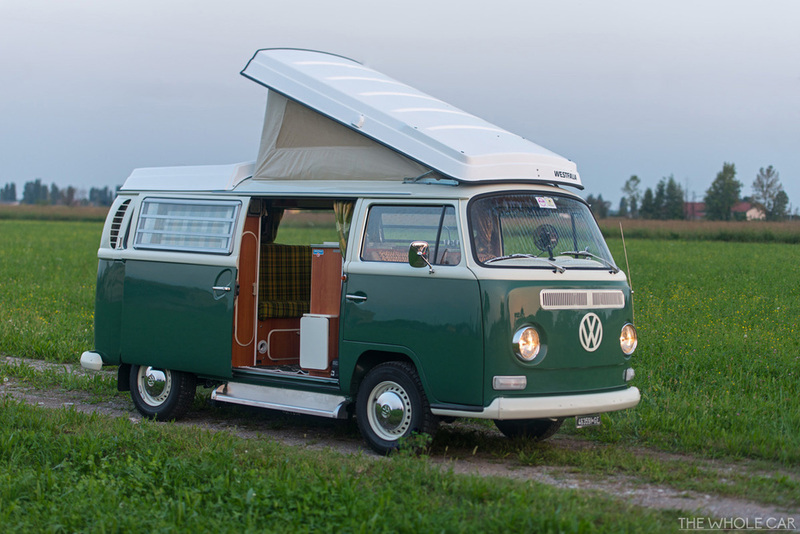 It is these vehicles, like the Westfalia or "Westy" highlighted in the album that I find myself daydreaming about, wondering where I could take the family on a roadtrip all together, stopping here and there to take photos and letting the family snooze in the back while I pottered about. The ability to make cups of tea on the run as all my English wife would need to hear to get behind that plan. This particular Westy is owned by a classic car collector whose cars we've seen before - I actually shot that one and found myself with time up my sleeve, so we squeezed in a quick shoot of the bus in the fading light.. Worked out nicely with the setting sun glowing red, mirroring the brake lights in the final shots. Now I'm no expert with these cars, so I turned to some online enthusiasts over at thesamba.com (beware of their classifieds if this post has stirred something within you - it's rather tempting!) to have a look at the images and let me know if they could spot anything interesting about this example. They told me that visual cues like the flatter hubcaps and flared rear arches would actually point toward this being a 1971 model, when those features were introduced, but it was hard to know for sure, because it actually has a significant amount of modifications. Commenters seemed impressed with the tasteful changes (that I might have assumed were original features) the owner had made, such as painting the car that shade of green, and the bumpers and grille white, opting for a clean two-tone look. 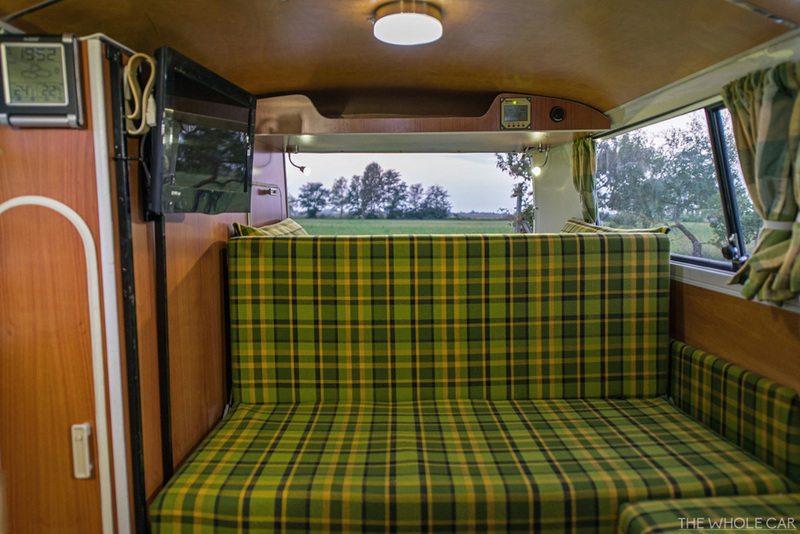 The tent canvas, upholstery, curtains, wood panelling, dash, steering wheel, and instrument surrounds were all changed to suit the owners tastes. He had even had the car converted to a dual-fuel setup, able to run LPG at the flick of a switch to the left of the steering wheel! While some purists were undoubtedly horrified at the divergence from factory spec, most commented that they enjoyed the unique final result achieved, and I'm with them - let me know what you think in the comments.